New Year Eve Grand Gala , comes as the most beautiful gift you can make to your family, parents, partners, loved ones and all your children. 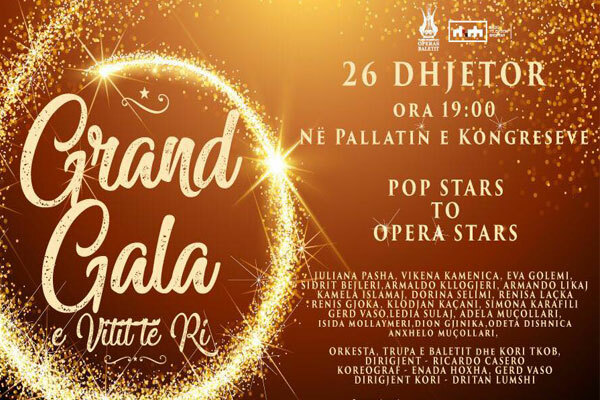 The stars of the pop music scene in Albania come together with the stars of Albanian opera, with the most beautiful operatic repertoire at the Congress Palace on December, 7 pm. A program for everyone ballet and pop-opera music will be the most beautiful gift at the end of the Year for the Albanian public. Ticket sale starts on December 18 at the Congress Hall's lobby from 10 am to 8 pm or call 067 632 7313.